Here's how you spend a lovely weekend in Bohol! Anyone travelling to Cebu or any nearby province would have probably considered making a day trip or two in Bohol. But wherever you are coming from, would a 48-hour trip suffice to enjoy this gem in Central Visayas? It is easy to be captivated by Bohol’s natural charm that you would want to spend a few more nights than planned. So, we are sharing our notes on what to do and where to stay to make the most out of your short visit. Be honest, the place where you rest after a long day of travelling can make or break your vacation so you have to choose your hotel carefully or it could be a disaster. So, to save yourself from any possible problems, why not stay at the world-class The Bellevue Resort Bohol? Located along the Doljo Beach, The Bellevue Resort Bohol could qualify as a tourist destination on its own. The privacy of the resort would even make it hard for you to leave and visit the nearby tourist attractions. You can wake up early in the morning and sip coffee on the balcony overlooking the ocean. And if that is not a perfect way to start every vacation day for you, then I don’t know what is! The Bellevue Resort Bohol is only a few minutes away from the Hinagdanan Cave while Virgin Island is a 30-minute boat ride away. All the top tourist attractions in Bohol are only a few hours away by car, if not a few minutes. This makes a short stay in the province both productive and relaxing at the same time. Treat your loved ones to a one-of-a-kind getaway at The Bellevue Resort Bohol. Grab their Suite Delight promo to enjoy an overnight stay in a Junior or Bellevue Suite with Jacuzzi for 2, buffet breakfast for 2, use of non-motorized aqua sports facilities, and so much more! Click HERE to book now! 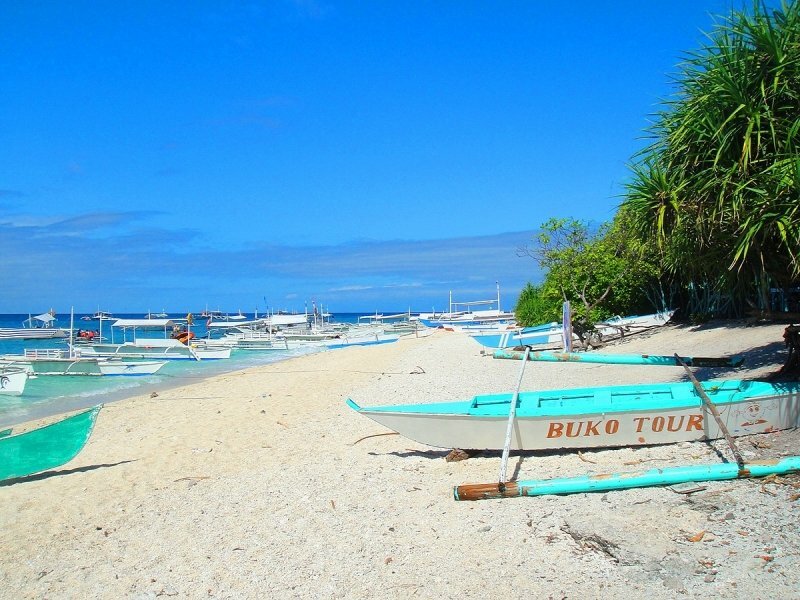 Read more about The Bellevue Resort Bohol on TripZillaSTAYS. If you are looking for a one-of-a-kind resort experience in Bohol, Loboc River Resort is the perfect choice. The warm welcome of the staff will make your vacation even more special as it shows the true Filipino hospitality. You can freely choose between the river and forest views for your room. But either way, both will make you feel like you are truly one with nature. Loboc River Resort is situated in Camayaan, Loboc. 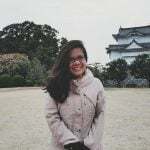 It is only a little less than an hour’s drive away from Bohol’s prime tourist destinations like the Tarsier Convention Area and Chocolate Hills which are typically covered in the countryside tour. Aside from the Loboc River Cruise, stand-up paddle boarding and firefly watching are two activities that you should not miss while staying in this unique property. Make your Bohol escapade extraordinary with Loboc River Resort's 3D2N Firefly Boat Package. This already includes 2 nights stay, firefly watching boat ride, breakfast, and welcome drinks, among others. Click HERE to grab this exclusive offer now! Read more about Loboc River Resort on TripZillaSTAYS. The place where Rajah Sikatuna of Bohol and Miguel Lopez de Legazpi of Spain held one of the most important events in Philippine History – the Sandugo. 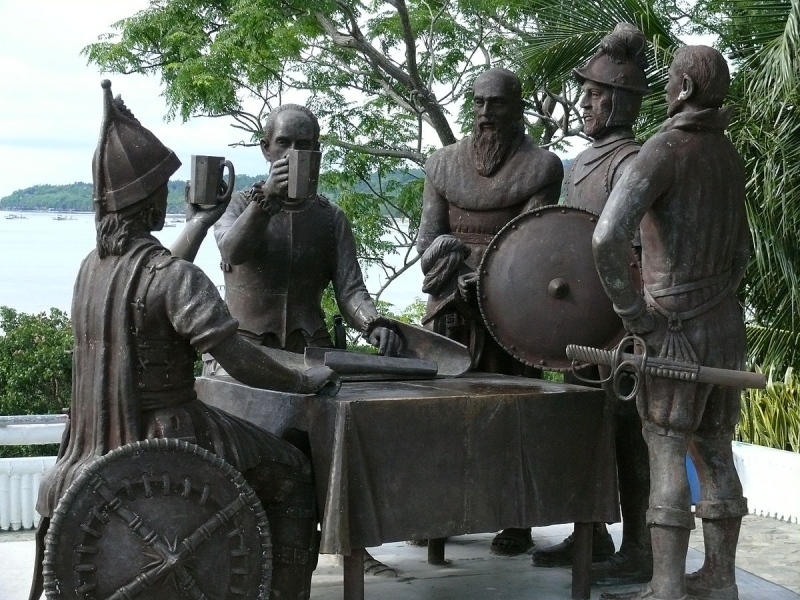 National Artist Napoleon Abueva sculpted the life-sized images of Sikatuna and Legazpi along with the other men present. 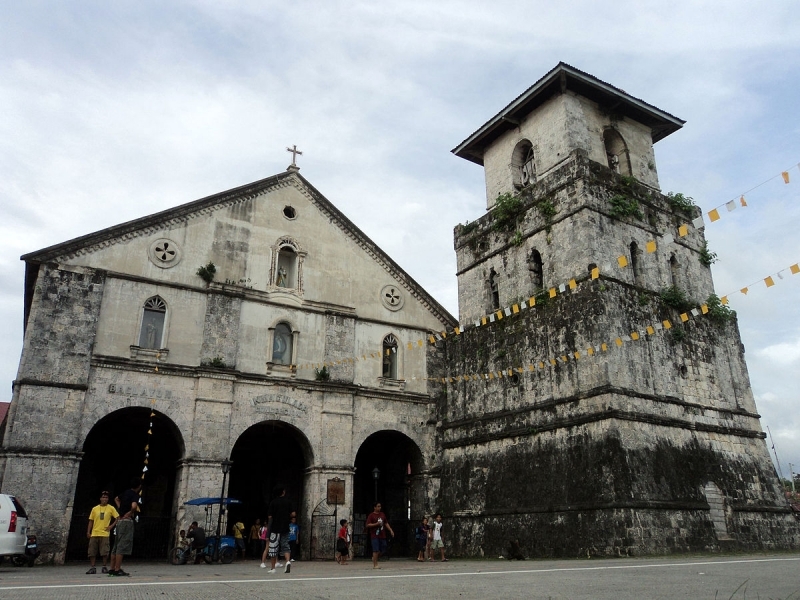 Built out of coral stones, The Immaculate Conception of the Virgin Mary Parish Church or Baclayon Church is the oldest Christian settlement in Bohol. It sustained significant damage during the 7.2 magnitude earthquake in 2013, but after four years, reconstruction was completed. Home to the tiny primate Philippine tarsiers, Tarsier Conservation Centre, is a stone's throw away from other tourist destinations in Bohol. 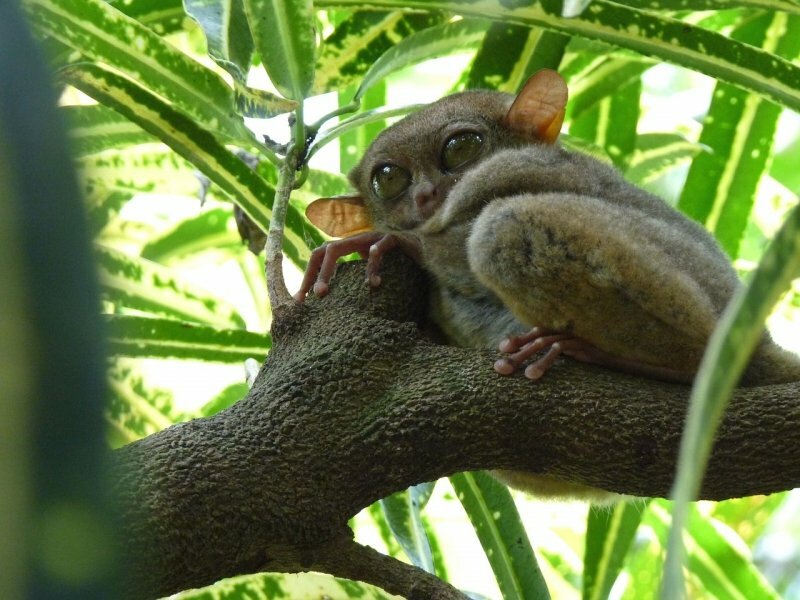 The tarsiers are nocturnal and shy. These precious animals are also very sensitive to sound so tourists must avoid stressing them out when spotted because they might commit suicide due to trauma from touching and loud noise. Fun fact: Did you know that the eye of the tarsier is bigger than its brain? 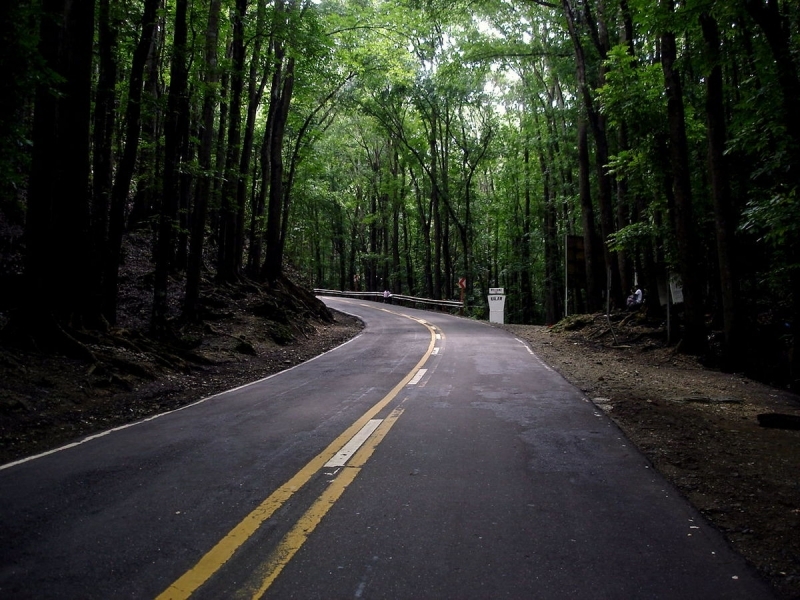 The man-made Mahogany Forest in Bilar is a two-kilometre stretch of beautifully lined Mahogany Trees. No tour around the area would be complete without a quick stop for a photo session with your family and friends. Another must-do while in Bohol is the Loboc River Cruise. Usually done during lunchtime, guests are served with sumptuous lunch and serenaded by local singers while cruising along the Loboc River, one of the cleanest rivers in the Philippines. Alternatively, you can join the dinner cruise or go on a firefly tour via paddleboard or kayak during the evening to witness how the Loboc river turns into a spectacular view during the night. You can book Loboc River Resort’s 1 Hr Stand Up Paddle Boarding promo. It is a highly rated activity to do in Bohol. And if you want to end your day by watching the dancing fireflies, you may schedule it on the later hours of the day or you may book a firefly tour. Note that fireflies usually come out at around 8pm and it is best to go during new moon nights. Thousands of hills make up this postcard view of the world-renowned Chocolate Hills. The green grass changes its colour to brown during the dry season, matching to its name perfectly. 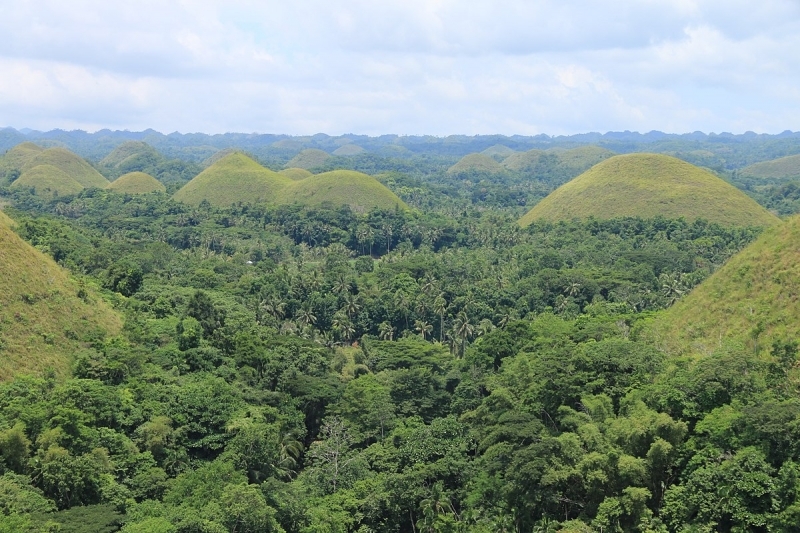 Fun fact: The Chocolate Hills is in the provincial flag of Bohol. You can spend half of your day doing the island hopping tour. The Philippines is home to beaches with the most beautiful white sands and crystal clear waters, and Bohol has its own contender. Usually, island hopping starts at Alona Beach, but The Bellevue Resort Bohol can also arrange it for you. The first stop is a spot where bancas gather for dolphin watching. It is best to go as early as possible to have a higher chance of seeing the dolphins as the water is still cold. 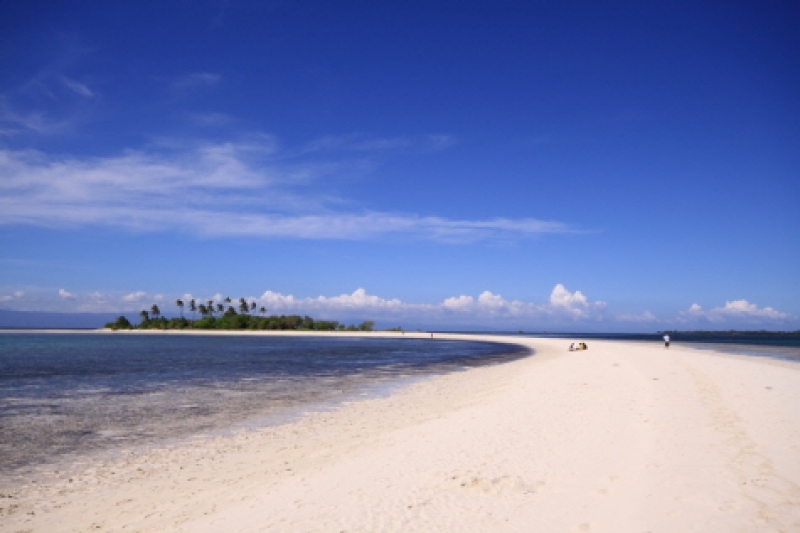 Balicasag Island is the second stop for swimming and snorkelling. With the sea turtles, corals, and schools of fish, this place is indeed a sanctuary. Although this is the usual third stop of an island hopping tour, be warned that there is actually no Virgin Island in Bohol. According to a Public Announcement posted in Isola di Francesco, another private island, it is only a sandbar illegally named as Virgin Island Tour. Vendors are said to sell unsanitary foodstuff at ridiculous prices, giving extreme allergies and upset stomach to some tourists. However, if you would like to try the exotic food sold on the island, you can do it at your own risk. Isola di Francesco is an island owned by the Philippines Centre of St. Pio of Pietrelcina and is a place of meditation. It is open to any visitors, and no entrance fee is required. Boat transfers are even available to those who wish to visit the sandbar or to pay respects to Saint Pio of Pietrelcina. Do not forget to be mindful of other people around and observe silence during your stay. If you have a late flight on your departure date and would like to make the most of your Bohol adventure, we suggest you visit Danao Adventure Park. 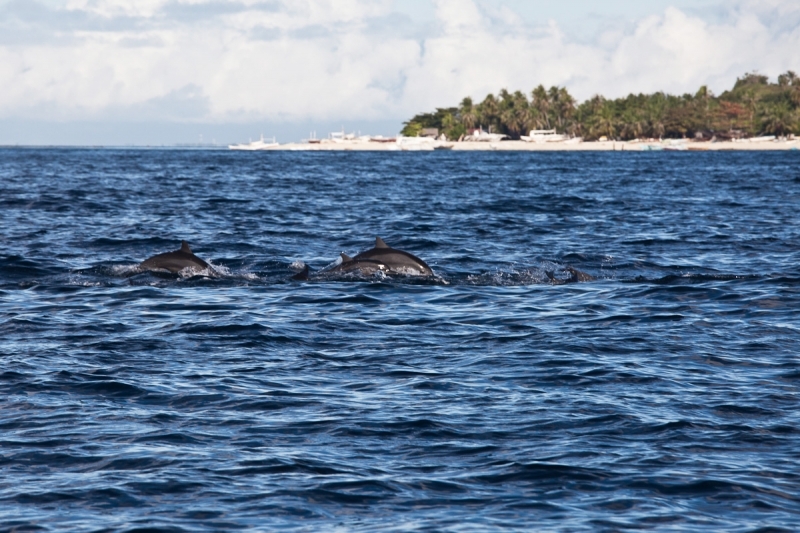 Bohol is not just for nature or animal lovers but for thrill-seekers as well. 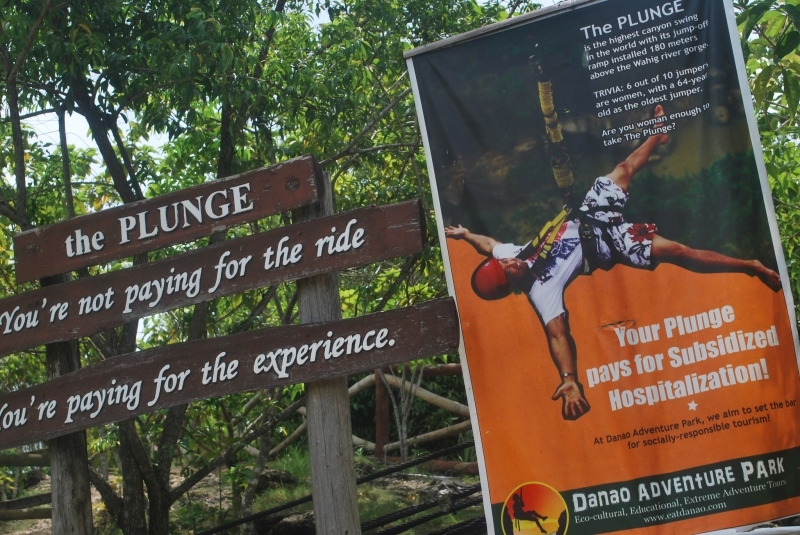 Danao Adventure Park is a Local Government Unit initiated facility that allows guests to experience the thrill and get their adrenaline rush pumping. Exciting activities like zip line, plunge, Skyride, root climbing, river trek and cliff rappel are available in the adventure park which can quickly get you busy for the whole day. Just don’t forget about your flight, alright? 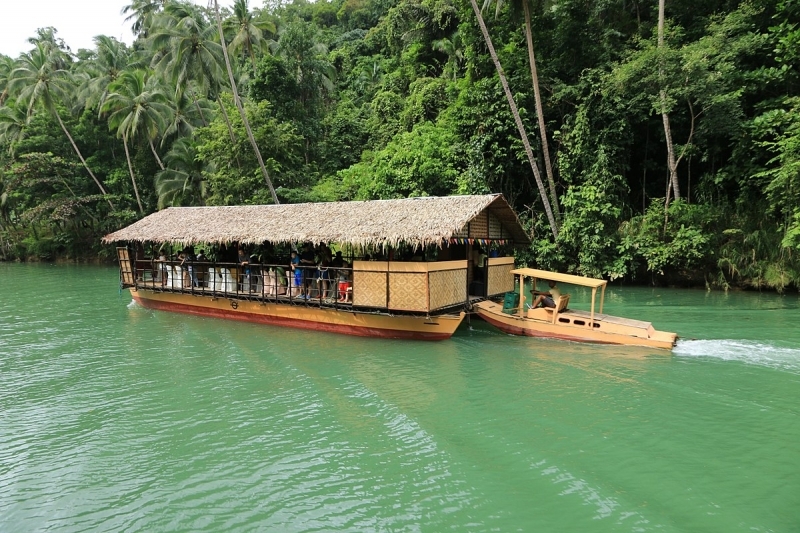 The floating restaurant at the Loboc River is very in demand that we need to mention it again in this article. For us, it is not just about the food but the whole experience of cruising along the river that makes it unique. 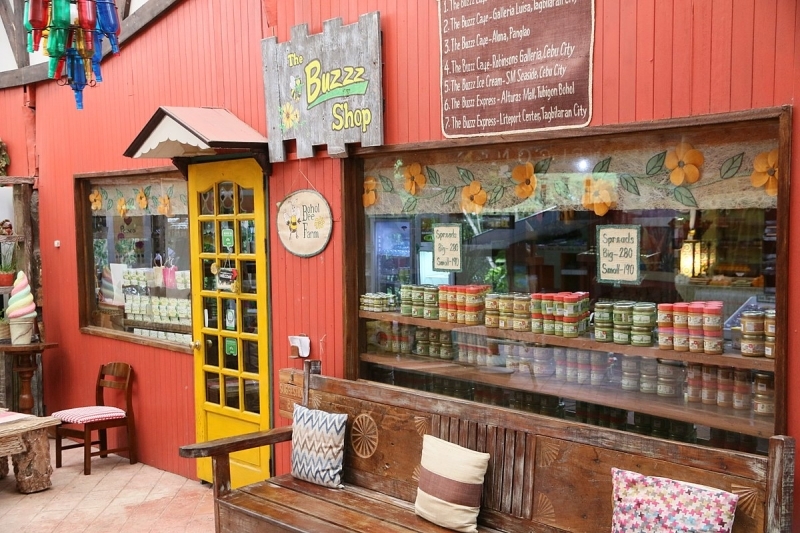 If you want a place just to relax while having a meal, better visit Bohol Bee Farm. They do not only serve delicious dishes made from organic produce but different flavours of ice cream as well. Honestly, there are so many more things to do and places to visit in Bohol. But 48 hours could be enough to enjoy and get a glimpse of its natural wonders. Who knows? You might enjoy it so much that you might extend your stay for another day or two. Don’t say we didn’t warn you!